REVLON is launching the latest addition to the Grow Luscious range, Revlon Grow Luscious Lash Liners (£6.29 each) and Plumping Mascara (£9.99), which are first to the UK mass market. These lash enhancing liners are enriched with botanical and vitamin rich formula to nourish and support healthy lashes at the root, ingredients include wheat germ glycerides, shea butter, aloe barbadensis leaf juice, vitamin E and chamomille recutita flower extract. Shades available include Onyx, Espresso and Emerald. Revlon Grow Luscious Plumping Mascara uses a thickening formula for a plumped effect and contains the innovative Revlon Grow Luscious Mascara technology, including a lash enhancing phyto-peptide formula that conditions and strengthens eyelashes to compliment their natural growth cycle. 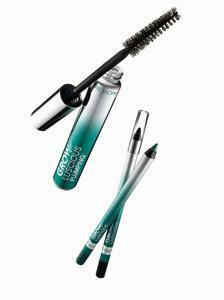 The new Grow Luscious Lash Liners and Plumping Mascara will be available this August at Boots and Superdrug nationwide. Great mascaras.ive been using them ever since..thanks for sharing.i fully recommend this revlon.